Costs – Jacksonville, Florida is home to more than just water and sand. Check out our statistics on tree maintenance and removal if you’re an owner of the beautiful trees populating the landscape so you can continue to take shade from the balmy sun. FAQs – Learn more about the trees that thrive in Jacksonville’s climate (hint: not just palm trees! ), city regulations concerning care of residential trees, what not to plant, and more! Services – Need more information that you can’t find here? Talk to an expert in arbor care. We have a list of everyone in your area who would know anything about the field. How Much Do Tree Services Cost in Jacksonville? There are several reasons why you might require tree services in Jacksonville, Florida. Branches can get in the way of power lines, stumps can be unattractive and regular pruning can make your yard look better. If you are working with a limited budget, having a basic idea of the costs can help significantly. The cost of tree removal in Jacksonville will vary significantly depending on the size of the tree and whether you need the wood hauled away after the felling. The minimum cost of tree removal in Jacksonville will be approximately $648, and the maximum cost roughly $880. Most homeowners will find that their price is closer to the reported average of $764. Grinding unsightly tree stumps requires specialized equipment, and it greatly improves the look of your yard. A medium-sized stump might take two hours to grind, and that could run homeowners anywhere from $75 to $131. Stump removal in Jacksonville will cost more, between $700 and $800, because it will take more equipment and time to completely uproot the stump from the ground as compared to girnding it down enough to not be a problem in the yard. Costs of tree trimming, pruning and branch cutting all depend on how many hours a particular job will take. Average project costs in Jacksonville run between $295 and $433. Additional costs may apply if there are power lines involved or the trees are unusually tall. On average though, residents will pay an average cost of $364 to have their trees taken care of and healthy. As one of the largest cities in Florida, Jacksonville is perhaps better known for its seascapes than its forests. However, it is home to some incredible trees and plenty of natural green beauty as well. Whether you are interested in maintaining the trees already in your yard, visiting the most famous trees growing in Jacksonville or adding some trees to your new home, this is the perfect resource. The sabal palm tree (Sabal palmetto) was established as the state tree of Florida in 1952. With a long, thin trunk and tropical palm fronds, it perfectly sums up the beauty of the state. Sabal palms are able to withstand short periods of cold temperatures, which is why they can handle the short but cold winters in Jacksonville. As long as you are slightly away from the saltwater of the Atlantic Coast, there is an almost unending list of trees that will grow well in Florida’s 9A hardiness tree zone. The stunning red of the dynamite crape myrtle (Lagerstroemia) can replace some of the autumn colors you miss from colder climates. Weeping willows (Salix babylonica) can grow in nearly any soil in Jacksonville, provide much-needed shade and won’t require much in the way of care or maintenance. Jacksonville’s climate is ideal for growing citrus. Grapefruit, lemon and orange trees are able to withstand the short, infrequent freezes of Northern Florida and do quite well with minimal care. According to the USDA, Jacksonville is located in plant hardiness zone 9A, which means that you can also grow peaches, mulberries, plums and figs. Certain fruit trees, like apples and cherries, won’t grow well in Jacksonville. There is not enough of a cold snap to fruit successfully. Blue spruce and Japanese maples are two other trees that simply won’t thrive in the warm and humid environment of Jacksonville. If you are interested in seeing some of the more unusual or particularly tall trees in the city of Jacksonville, there are several places worth a visit. 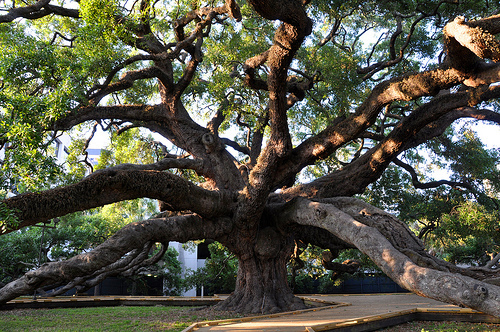 At the Jessie Ball DuPont Park, you can’t miss the enormous treaty oak, which is estimated to be 250 years old and looks a lot like an octopus thanks to thick branches growing in all directions. Tree Hill Nature Center is also an amazing place to walk along trails and spot an oak tree that is more than 200 years old. If you are planning to remove entire trees or stumps from the ground in Jacksonville, be sure to avoid the few days each year where there is a potential for frost. If you merely want to prune some of the branches, early winter or early spring is typically best, as this is when the trees are dormant and not actively growing thanks to the cooler climate. Tree service specialists usually can remove a tree any time of the year, but removing a tree during late spring and summer can mean more work on the landscaping of your yard afterwards, due to more damage from trying to uproot the tree or stump. It will be much easier to get the tree out of the ground when it’s dormant than when it’s alive. Jacksonville takes great pride in its trees, and there are regulations in place to keep the canopy in the city. If you want to remove a tree over four feet tall or with a circumference of more than three and a half feet around, you need to apply for a permit from the Building Inspection Division of the City of Jacksonville. The exception to this rule is the pine tree, which is not protected in Jacksonville. Florida Light and Power has strict regulations regarding trees and power lines in the city of Jacksonville, Florida. 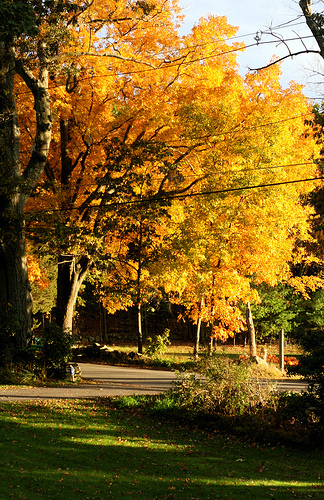 Their contractors will prune trees that are growing too close to the overhead power lines, but they also have a Right Place, Right Tree website that you can look at to determine if a certain tree can be planted in a certain area, which will prevent branches from growing too close in the first place.